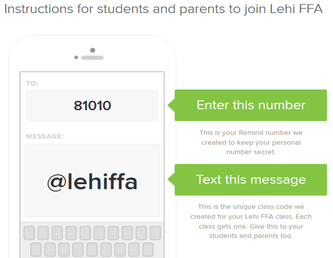 Please join Remind to have FFA notices sent right to your phone! Follow the instructions on the right! Parents also invited! Lehi FFA on Fox 13 Cool School!